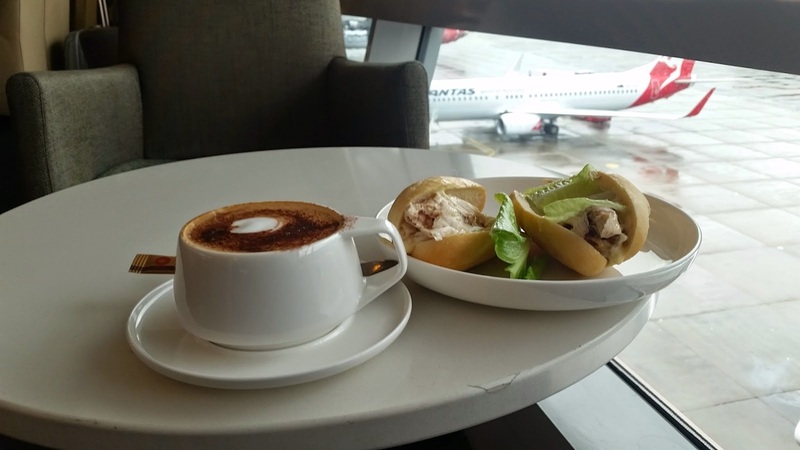 After arriving in Sydney from Melbourne I headed to the Business Class / Platinum Lounge upstairs in T3. 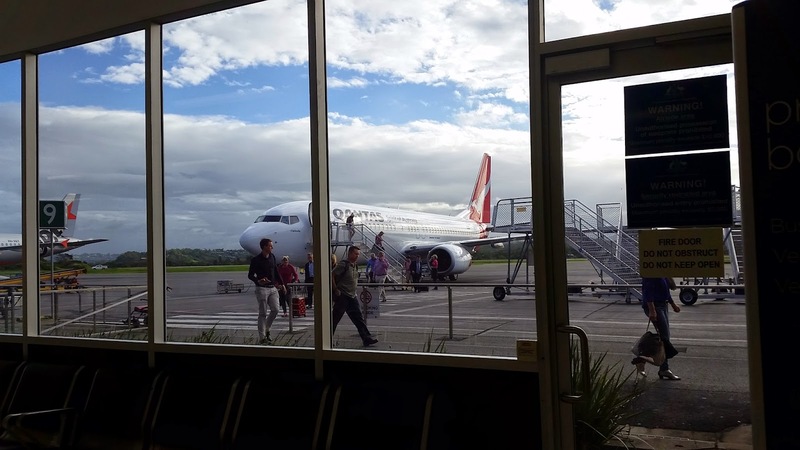 I flashed my boarding pass for the next sector QF864 to the Gold Coast and found a nice window seat. 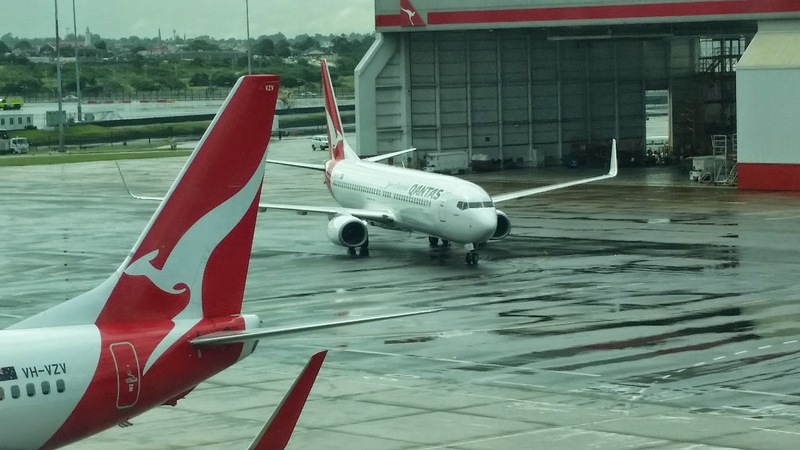 There is a reasonable view of the Qantas domestic ramp and when runway 16R is in use you can see aircraft landing. I went to the bar and ordered a cappuccino and checked out the buffet. There was a staff member making fresh chicken rolls so I grabbed a couple, and they were pretty tasty! Whilst I was waiting a waiter came around offering drumstick ice creams to everyone. The service in this lounge can be very good at times and it looks like I got them on a good day. I didn't really need an ice cream but I decided to have one anyway. At 4.15pm the flight was announced for boarding and I headed to the gate. Priority boarding was in use and working well, I managed to avoid the longer economy queue. 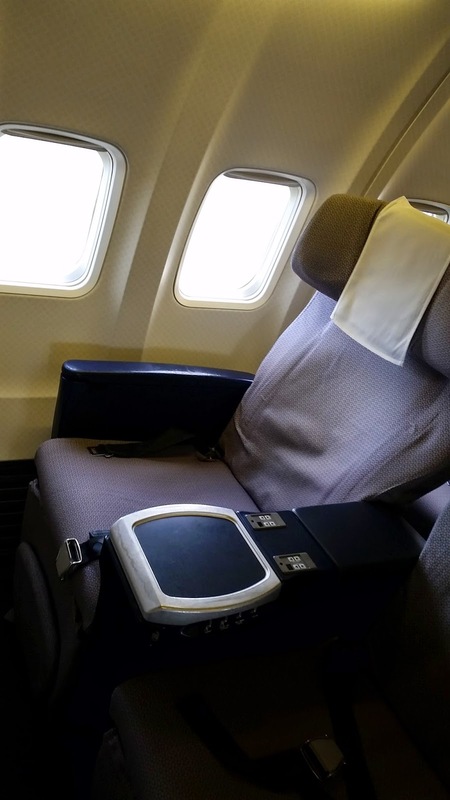 Once on board I headed to 1F, a bulkhead window seat on this Boeing 737-800. 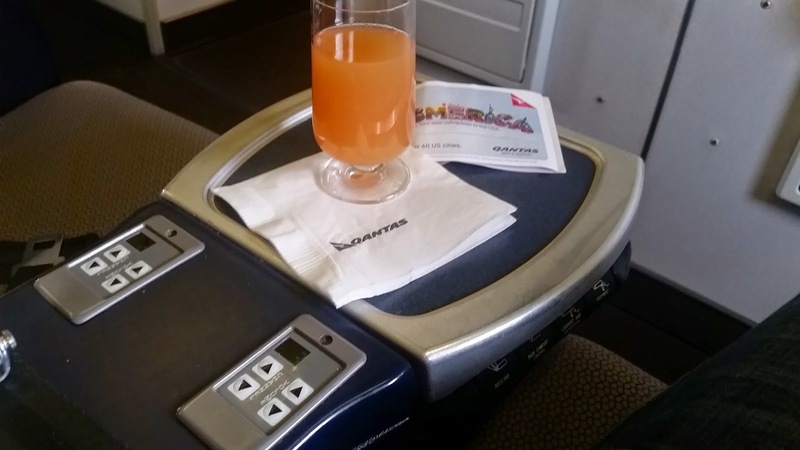 Pre departure beverages were offered and I had a juice. On schedule at 4.35pm we pushed back and started the engines. We were the last to push back before the ground crew were called back under cover due to lightning in the area. 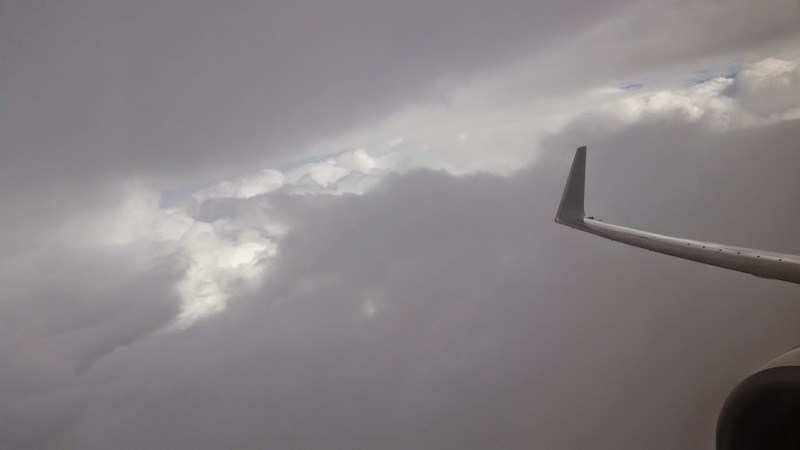 If we had been 5 minutes later we would have been significantly delayed as a storm cell descended on the airport at that moment and ground operations were cancelled for about an hour. On this flight we departed off runway 16L, meaning a fairly long taxi. Just as we got to the runway the rain started bucketing down and the flight crew made a quick departure towards the south where there was a gap in the weather. 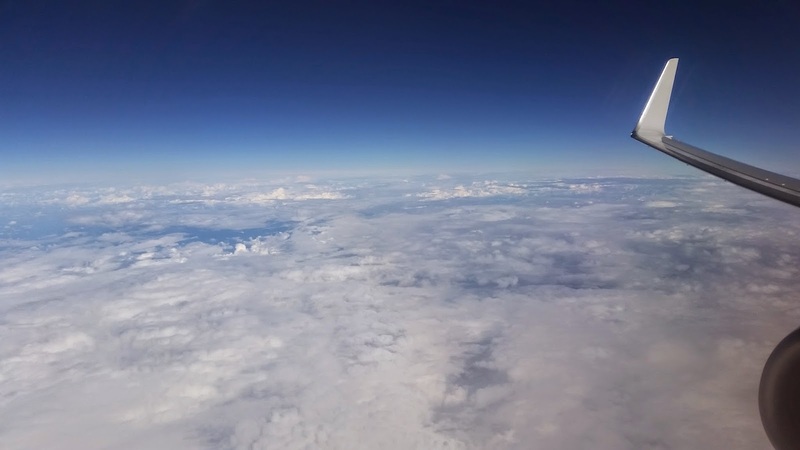 Then there was a few left hand turns and a fair bit of cloud to get through before we were finally up in the clear and headed north towards Queensland. And up in the clear - thank goodness! It was an afternoon tea service with soup, cheese or a cold beef salad available with a thai style sauce. I took the beef salad - the beef was perhaps a little rare for me. I had a rental car organised for the Gold Coast so I did not partake in the wine on offer. Instead I ordered a ginger beer to go with my meal, and finished up with a cup of tea. 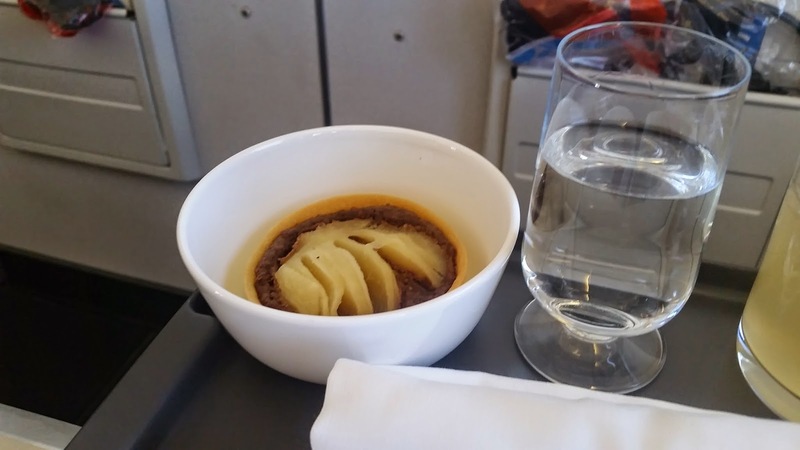 The meal was ok, presentation isn't that great but it was fairly tasty and sufficient for a 65 minute flight at that time of day. 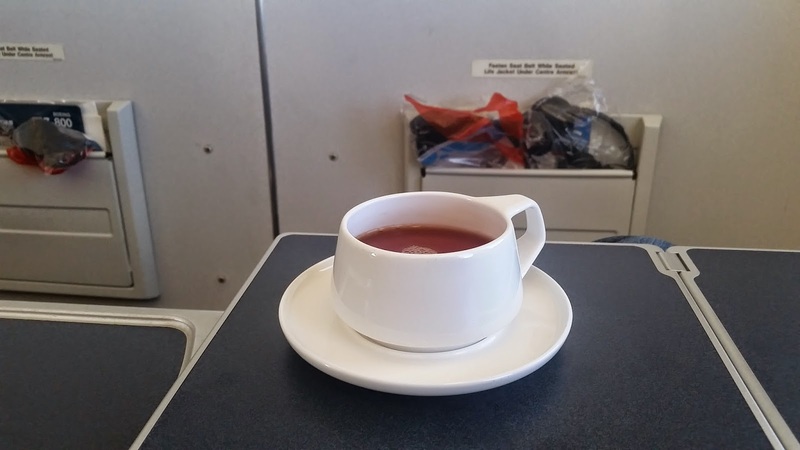 Service was typical of Qantas, friendly and professional with the flight attendant always ensuring I had what I needed. 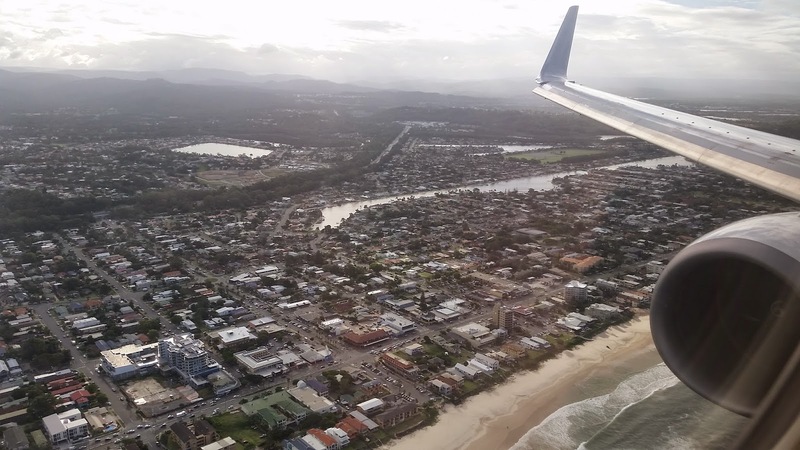 We flew past the airport and made a 180 degree turn to land towards the south, there was some nice views of the Gold Coast beaches and high rises. 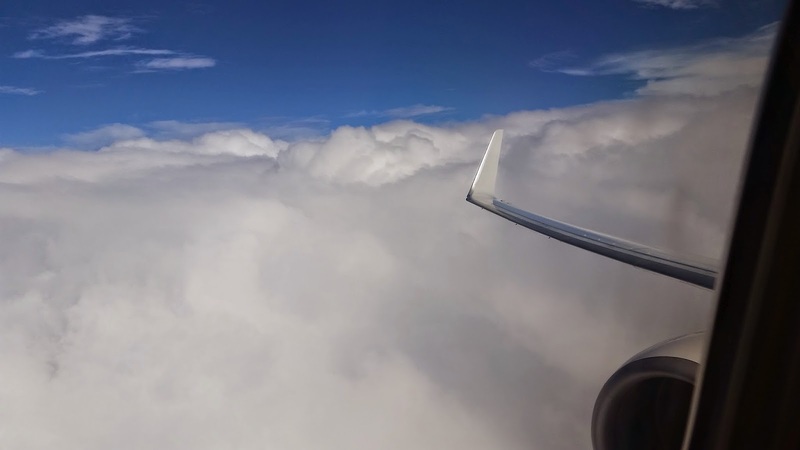 After a routine smooth landing we parked at the terminal and disembarked via the air stairs. There is still no jetbridge's at this airport yet. 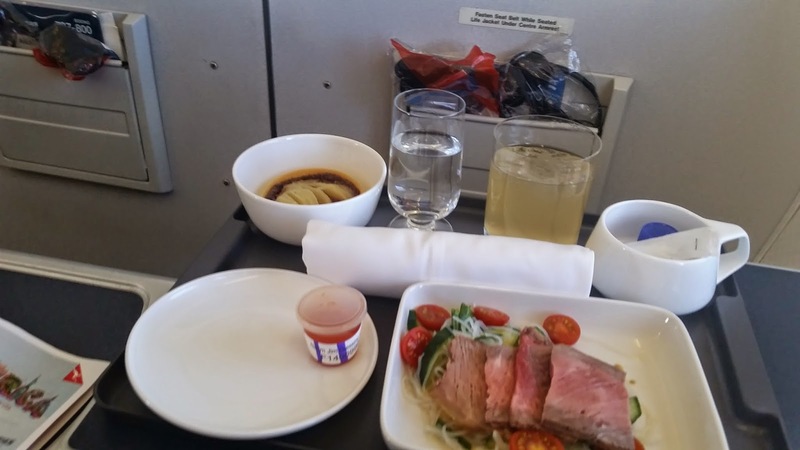 Another great Qantas flight - I find them very consistent in what they offer in terms of service. 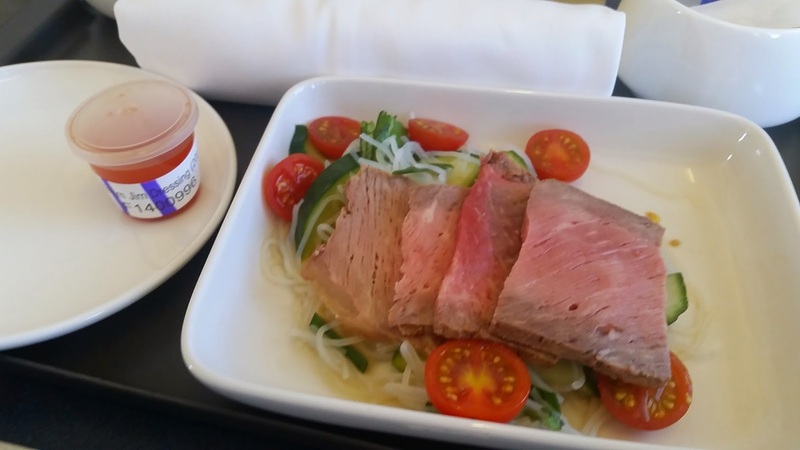 The food is starting to look a little less appealing than what Virgin is offering now though, so it may be time to re-think domestic business class meals at Qantas. 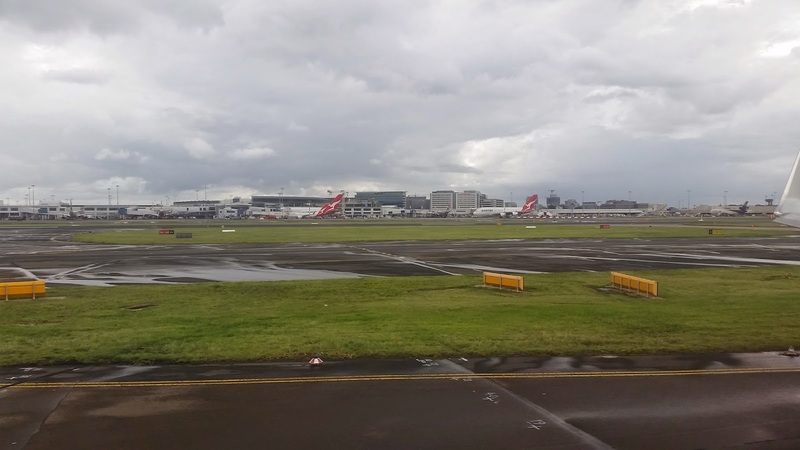 The next 2 posts will compare the experience with Virgin Australia on two further sectors: Brisbane to Sydney followed by Sydney to Melbourne.